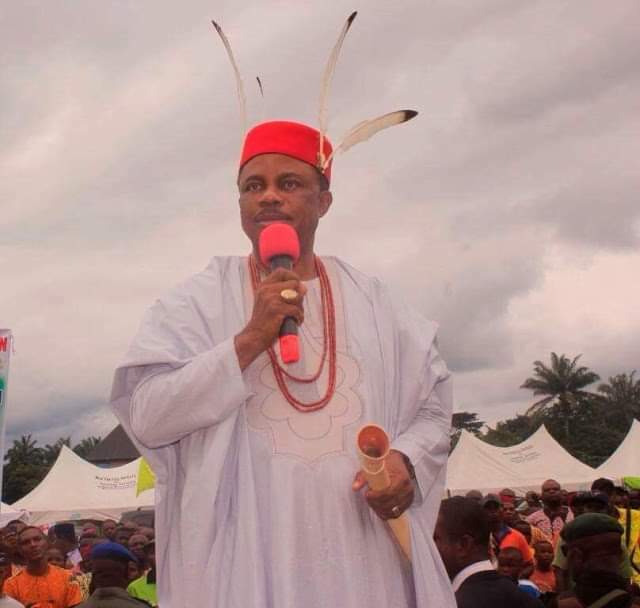 Notwithstanding his impressive performance for which he was re-elected in November 2017, Governor Willie Obiano of Anambra State has not relented in his efforts to deliver verifiable democracy dividends to the people. Save for the delay imposed by last year’s rainy season, massive road and bridge constructions are ongoing across the three senatorial districts of the state. Some of the roads under construction are the Malinze-Ugwuorie-Umuike-Ezinifite road, Nnokwa-Ichida-Oraeri-Aguluzigbo road with a spur to Nkwo Ichida-Igboukwu road. There is also the construction of Nengo River Bridge connecting Nteje and Umunya towns in Oyi local government area. The bridge has been completed and is now in use. Others are the Ezira-Umuomaku-Enugwu Umuonyia-Achina road with a bridge, in addition to construction of Nkwo Nando-Ikem Nando road. Other roads are Umunankwo-Mputu-Ogwuaniocha road with a bridge connecting it to Ihiala, as well the Isingwu-Oraifite-Akwa Ozubulu road with a spur to Ose Umuodum and Saint Mary’s Catholic Church, Isingwu. Recently, the Governor flagged off the construction of an International Conference Centre in Awka, which, when completed, would be second to none in West Africa. This is even as the Anambra State Road Maintenance Agency, ARMA is vigorously repairing all deplorable Trunk-B thoroughfares in different parts of the state. Some of the alleys already mended are Azia-Orsumoghu road, Aguluzigbo-Ekwulobia roundabout, Ozubulu-Okija road, Ezeogidi-Oko and Okpuneze road as well as the 3-3 axis, Upper Iweka to Ochanja, Limca and Awka roads, all in the Onitsha metropolis. In addition to these roads, ARMA has equally rehabilitate roads at Abba in Njikoka local government area, Nya street near the Government House, Awka as well as roads around the Roban Stores and Central Bank axis plus the Amawbia roundabout through the by-pass to the Flyover on the Enugu-Onitsha Expressway and still counting. It is a truism that Akpokuedike is a man whose words are his bond. He has never promised anything to Ndi Anambra and failed. For this reason he deserves the unflinching support of the citizenry. This would inspire him to deliver greater democracy dividends to the state in order to keep her on the part of sustainable and enduring socioeconomic development. Besides, Odogwu Omambala would naturally want to be succeeded by a government that would not backslide or derail from Anambra’s current narrative of good governance. For this reason he would leave no stone unturned to ensure the provision and maintenance of basic amenities in the state. Other things being equal, this would make it easy for him to market his preferred successor to the Anambra electorate in the third quarters of 2021. Therefore, it would make a lot of sense for Anambra voters to return Ebubedike’s proteges in the forthcoming general polls. This would surely inspire him to deliver democracy dividends with greater verve to the people up to March 2022, when his second and last tenure as the governor of Anambra state would come to a glorious end.